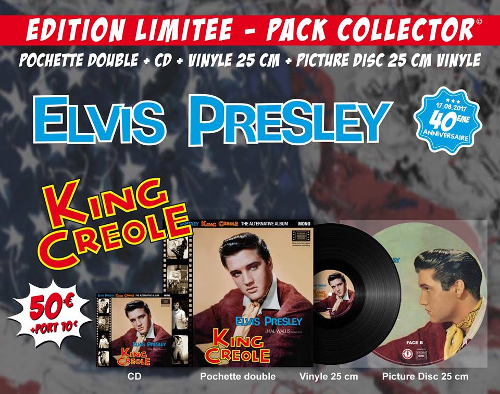 Released on the French Big Beat Records are several CD and vinyl compilations packs “King Creole”, “Loving You” and “Love Me Tender” as "alternate albums". The vinyl comes one side as black vinyl, one side as a picture disc. For those of us born before metrification, 25cm is a 10 inch LP!! After a while one gets sick and tired of constantly seeing recycled Elvis songs; I guess no longer under copyright. Talk about absolute crap. Just glad it's overseas and not here in the U.S.A.